PCOS has been in the spotlight again recently with UK health watchdog NICE﻿ urging more GP’s to send patients with PCOS symptoms for tests. This is imperative because it is common for women to silently suffer from PCOS symptoms for many years without help, and then face infertility without understanding why. Not only this, but if they do have PCOS, left untreated PCOS can become very dangerous. Sadly, it is common for women to go to a GP with heavy periods only to be sent away as ‘normal’ without any further investigation. 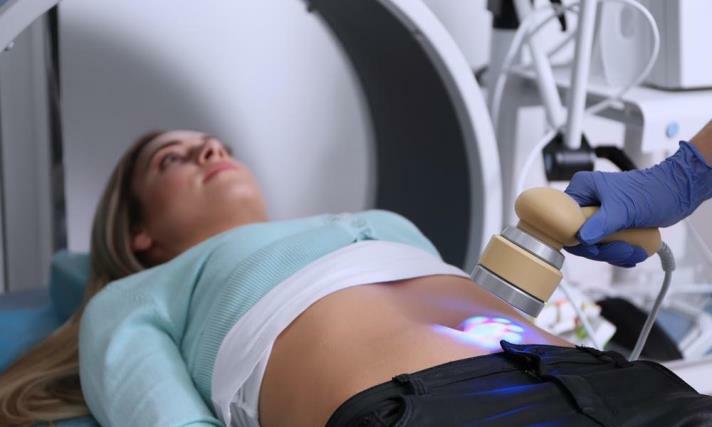 NICE believes that in many cases the common ultrasound investigation should replaced by a hysteroscopy so that patients can be diagnosed earlier and offered effective fertility treatment. Currently UK GPs refer around 5,000 women a year for hysteroscopy tests but NICE wants to treble this figure. Around one in seven couples in the UK struggle to conceive (this is around 3.5 million people in the UK). In many cases, PCOS may be the reason why they are struggling to conceive - it affects as many as one in five women in the UK. There are three main features of PCOS - irregular periods, excess androgen (male hormones) and polycystic ovaries. PCOS can make it difficult to conceive due to irregular ovulation or failure to ovulate. A common PCOS symptom is a struggle with weight-gain due to insulin resistance, and women that are overweight are more prone to PCOS. In fact, more than 50% of women with PCOS are either obese or overweight. In turn, fat cells can disrupt the balance of hormones that impacts a woman’s ability to get pregnant. It only takes a weight loss of five to ten percent of initial body weight to improve fertility. Regular exercise and a healthy diet will help maintain a weight which will increase chances of fertility, at the same time improving self-esteem. Those with PCOS also are likely to suffer from depression and anxiety, an this added stress also compounds the chances of being able to conceive. Sometimes the depression can stem from hormonal imbalances, and sometimes from the physical symptoms such as facial hair and acne which understandably make the sufferer self-conscious and sensitive to others comments. Not only this, but studies have found that children born to mothers with PCOS have an increased risk of developing anxiety later in life. As hard as it can be, there are steps that a PCOS sufferer can take to improve their symptoms and in turn, help their chances of successfully conceiving. Women with PCOS often struggle to lose weight due to insulin resistance, so their diet can be changed accordingly to avoid refined carbohydrates, drink alcohol in moderation and follow a healthy diet plan to help to conceive naturally. Inflammation contributes to the hormone imbalance in PCOS, do by eating certain foods that combat inflammation, PCOS sufferers can help manage their symptoms. Foods include tomatoes, fatty fish, olive oil, nuts, green leafy vegetables and oranges, blueberries and strawberries. Iron-deficiency can be a common PCOS symptom with heavy periods. Red meat is often thought of first, but there are other foods rich in iron such as chickpeas, lentils, dried apricots and spinach. Eating these alongside citrus fruits will allow the vitamin C in the citrus fruits to help absorb the iron. Carbohydrates with a low GI such as oats, grainy bread and lentils, produce lower glucose levels and insulin levels in the blood after they are eaten. The lignan in flaxseeds is said to improves lipid profile and reduce testosterone levels to help control PCOS symptoms. Insulin growth factor-1 is a hormone found in cow's milk that has a molecular structure much like insulin with similar actions. PCOS sufferers have been shown to have higher than normal levels of IGF-1 and their ovaries appear to be extremely sensitive to IGF-1. Not only that, but there are also hormones and antibiotics found in cow’s milk which can exasperate hormonal imbalance. So women with PCOS might find removing dairy from their diet beneficial. A high fibre diet can also reduce insulin levels, an increase in fibre and an avoidance of processed food which contain little fibre can also help. Supplements can promote healthy blood flow, help hormonal imbalance and boost the immune system. The treatment plan for PCOS infertility depends on the individual patient and the symptoms they suffer from - but the bottom line is that there are actions that can be taken to boost fertility naturally. With the recent call from NICE highlighting the need for more GPs to refer those suffering any PCOS symptoms sooner, hopefully those battling PCOS and infertility issues will be able to be supported in future at a much earlier stage.